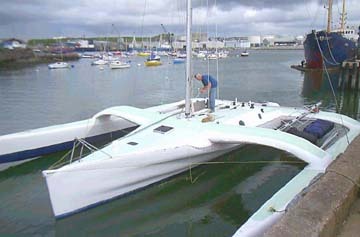 37′ cruising trimaran in composite. 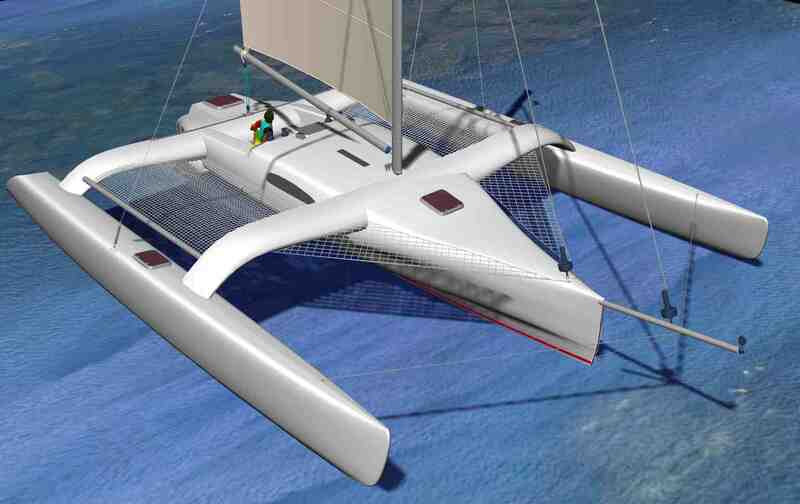 A 37′ ocean cruising trimaran built in composite materials. This design takes fullest advantage of composite design with the flowing, organic shapes that best suit modern laminate design. The spacious main hull shape conforms to human needs inside, not the dictates of a folded ama. Construction is strip foam; either long or vertical. Most builders have made the flowing connective beams from carbon fiber.Just by looking at it you can tell it performs. Nothing in its class can drive upwind like this design can.The boat in the first two pictures below belongs to the legendary board sailor Pat Lemehute and was featured in a cameo on the Weather Channel.Options provided include a demountable version.